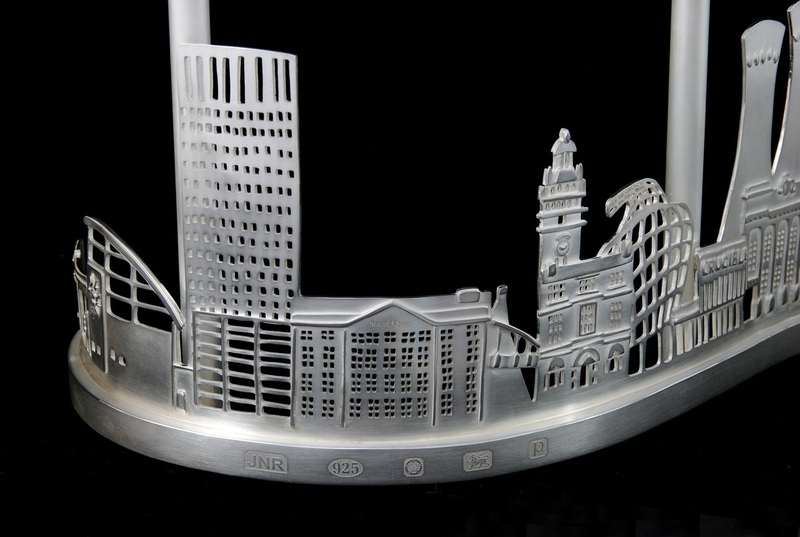 Commissioned by Sheffield Assay Office. Jen used her signature hand drawn and hand cut style to create a piece which captures the industrial history and present day of Sheffield. 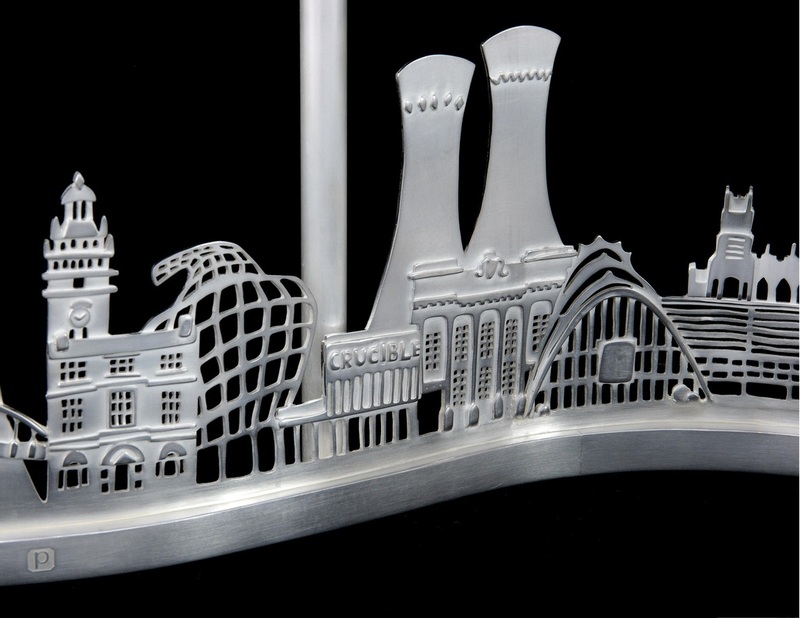 The design focuses on the industrial Cutlery and Steel history of Sheffield as well as the present day land marks of Sheffield. Part of the brief for this commission was to incorporate a 1 kilogram Ingot of silver which Jen has forged down and has used it in her design. 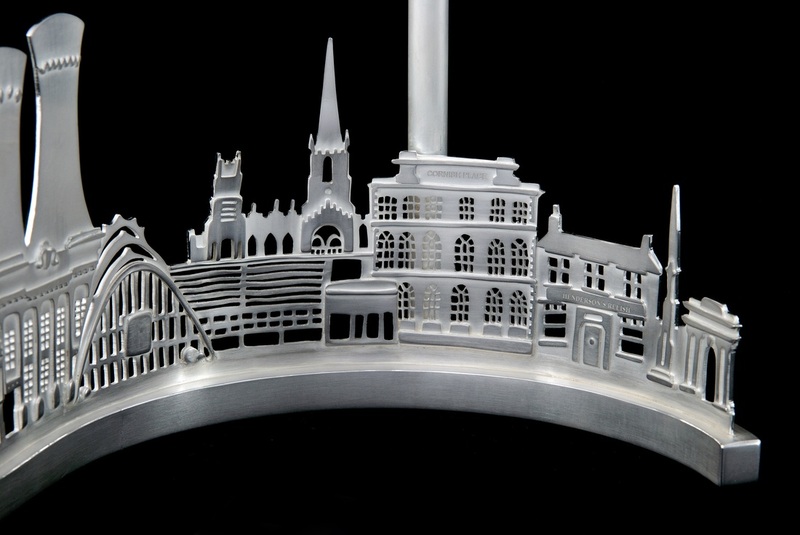 The piece is currently on display in the Millennium Galleries Sheffield and is part of the Little Gems collection.